Herald: A new circus is in town! A new circus is in town! The demand for tap beer, the openness to trying different types and brands of beers, and events like Oktoberfest ‘Beer Edition’ held a few weeks ago and now The Beer Circus 2017, is a clear indication that the beer culture has indeed begun brewing in Goa. Taking place on November 4 and 5, 2017 at Stonewater Eco Resort located on Santarem Beach in Vasco, The Beer Circus is going to be a congregation of beer lovers, beer traditions and the best of beer brands and breweries from all around the world under one single roof. Natasha Parekh, one of the partners of The Beer Circus 2017, says, “Goa is an emotion that echoes freedom and happiness. And no day in this land of sun and sand is complete without a mug of beer! Hence, there couldn’t have been a better place for us to host The Beer Circus 2017. The idea is to put together a property much close to our hearts that involves a 360 degree outlook to the world of beer.” The Beer Circus 2017 has been curated, designed and executed by Joshua Antao, Ayesha Kirti Gurung and Natasha Parekh. The good people at The Beer Circus are serious about their beer and even more serious about imparting valuable ‘beer education’ at ‘The Brewniversity’ at the venue. Beer enthusiasts can meet and interact with brew masters, and participate in beer sampling sessions. The event premiere will also witness the presence of John Eapen, a popular beer evangelist in India, who will share some of his insights on beer. Another interesting arena at The Beer Circus is the unique flea market that will have various stalls dedicated to merchandise inspired by beer, such as T-shirts, dreamcatchers, home decor, etc apart from different types of food and beverages at the venue. Beer goes great with food a few home chefs who will be showcasing their culinary fascination, will show you how. Beer enthusiasts can expect the menu to have an exciting spin-off inspired by the element of beer. What else goes well with beer? Music, of course! The Beer Circus has roped in talented musicians from across the genres of African Folk, Reggae Dub, Jazz, Blues Rock and many more, who will be presenting the best of live music at the venue. The performances will continue throughout the duration of the festival, keeping the audiences entertained. ALPHACODE 7, a dance rock based band from Goa will open the music arena at the festival followed by Voctronica, India’s first all-vocal ensemble that consists of beat-boxers, Indian Classical, Pop, Blues and Rock vocalists who collectively bring to you the real power of the human voice. Other acts include Thaalavattam, Boombay Djembe Folas - an exciting and energetic group of drummers who play traditional rhythms from West Africa, and The Jass B’stards. It certainly looks like there’s going to be plenty of dancing, singing and merriment over the two days. 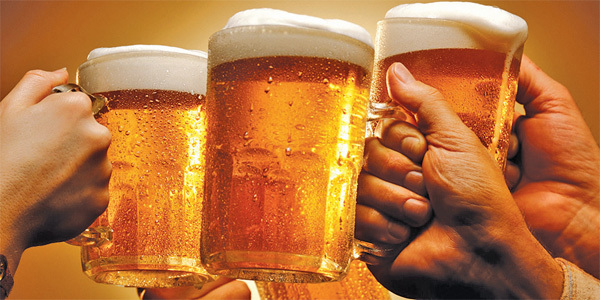 As Henry Lawson once rightly said, “Beer makes you feel the way you ought to feel without beer.” So, chug along!